Final exams don’t normally end in death, but Charlie Benjamin’s final exams are far from normal. When Charlie, Violet and Theodore embark on a routine test in the Nether, they don’t expect Violet to be abducted by demonic, kangaroo-like Dangeroos and they really don’t expect to end up in the middle of an all-out breakout attempt by the remaining Named monsters. 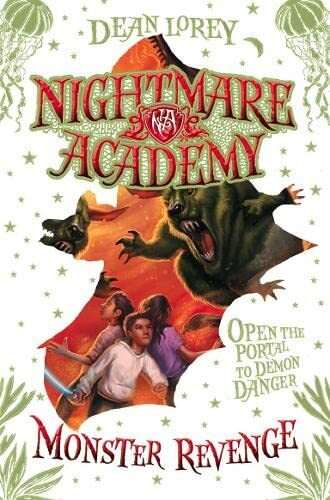 With the mysterious “Guardian” under threat, and Barakkas and Verminion still loose on earth, only the misfits of the Nightmare Academy stand between an oblivious humanity and total annihilation. Because if the Four Named should ever escape the Nether and assemble on earth, they would be able to summon the Fifth. And that, by all the most reliable accounts, would be Bad.